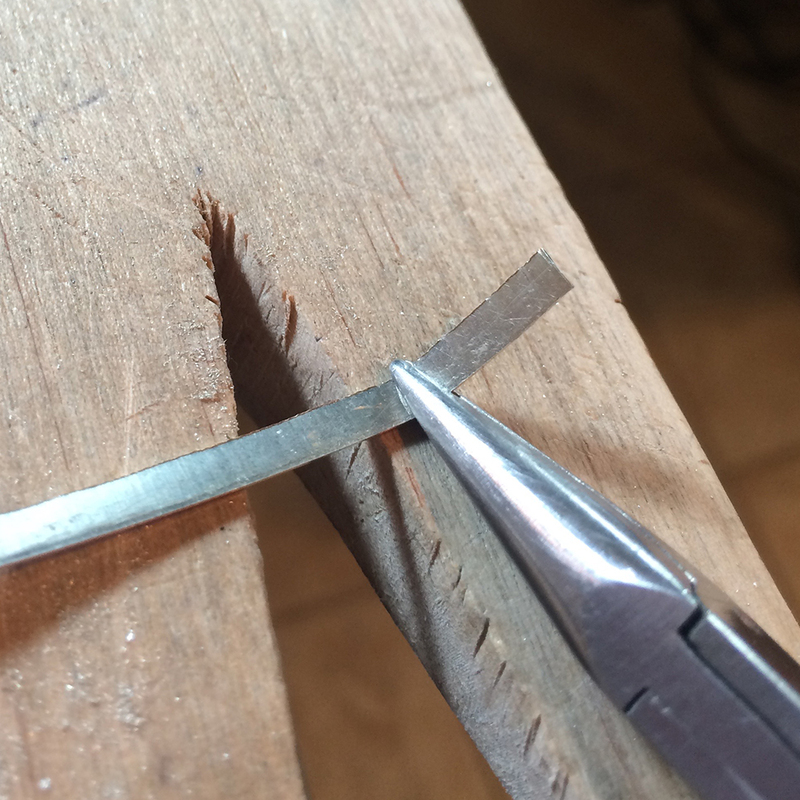 In this post I am showing how I made small boxes (hollow forms) with crisp corners to fit my already finished shaped granulations. 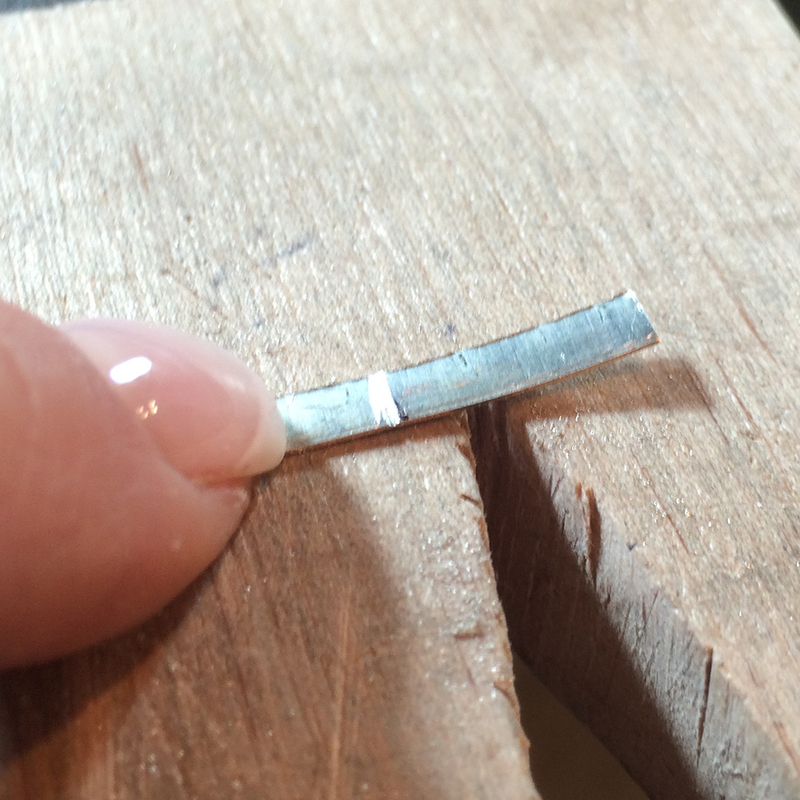 First, I decided how high I wanted my box and cut a strip of sterling silver that would become the sides of the box. I used a square file to cut a V in the strip. 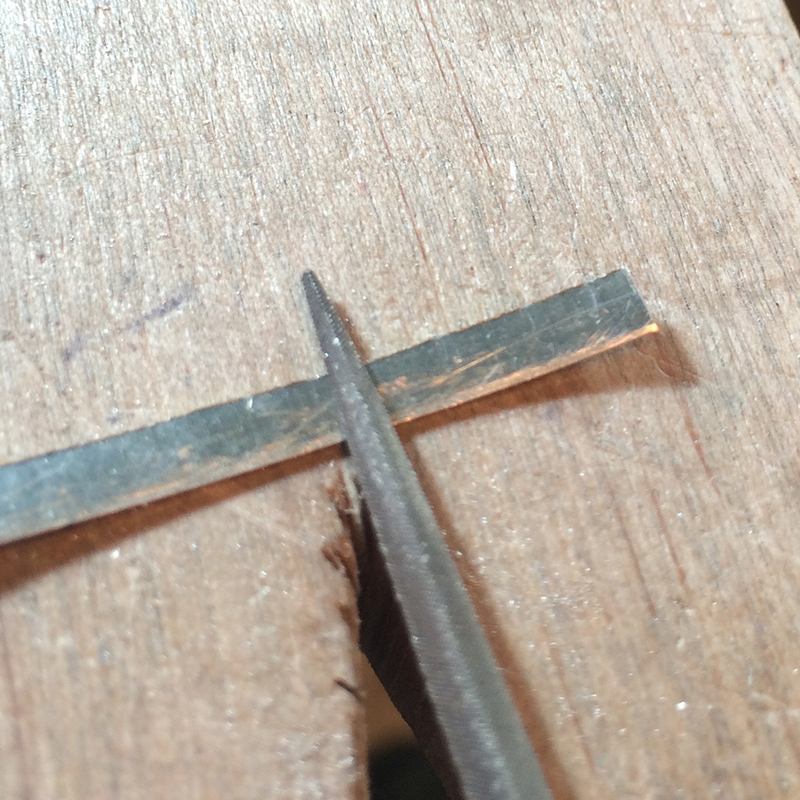 I grasped the strip with a plier right next to the V and bent the strip against my bench pin to create a crisp bend. In order to get accurate measurements for the length of the sides, I placed the silver strip on top of my granulation and marked with a Sharpie pen. That is where my next bend would be. After creating all the bends, I soldered the joint closed. 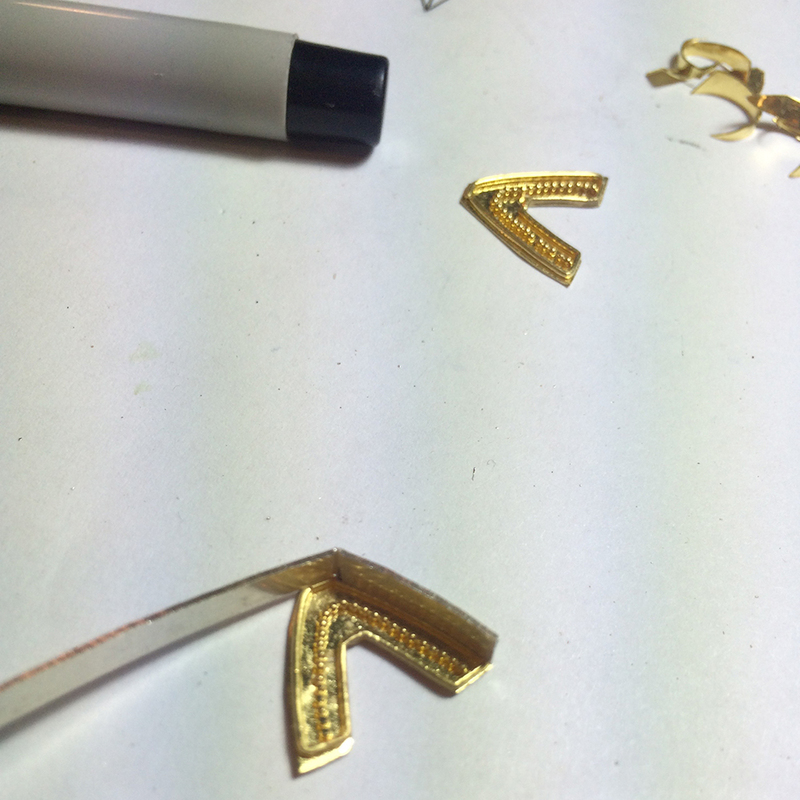 For strength, I also soldered each corner by placing solder pallions beneath each bend and heating from above. I soldered a top and bottom onto my sides. 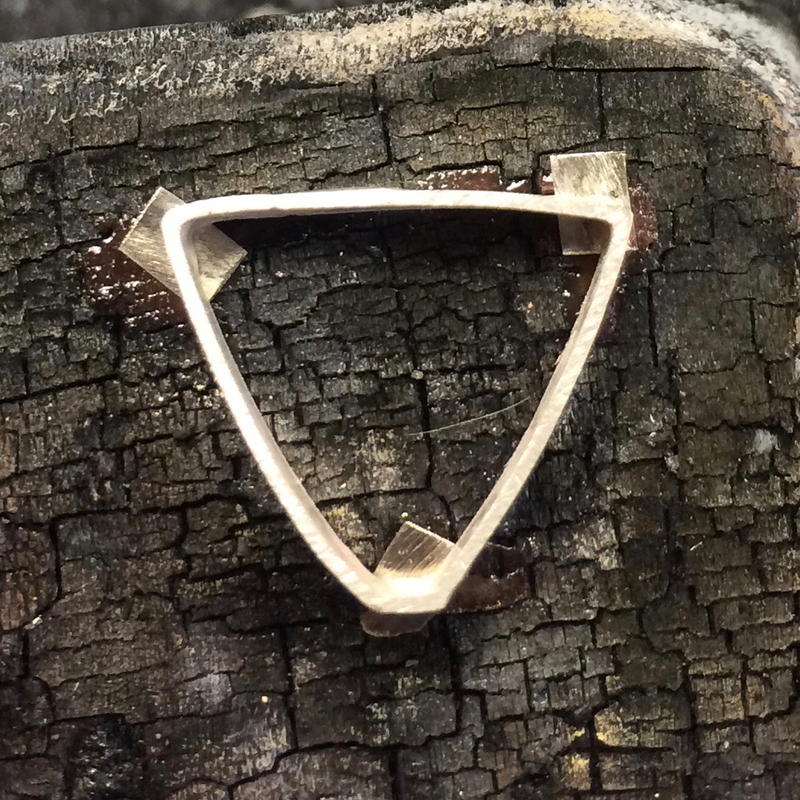 Lastly, I carefully attached my granulation design on top, taking care that it did not become displaced during soldering. 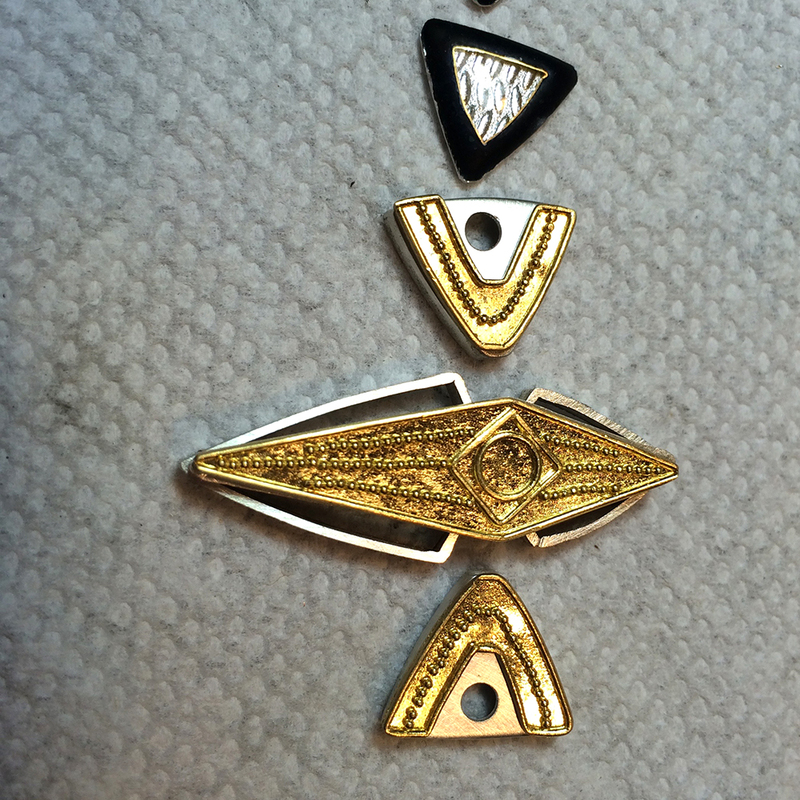 Posted in Metalsmithing and tagged granulation, hollow forms, Metalworking, soldering. Bookmark the permalink.